While many of EA’s games ruthlessly oppose modders The Sims has thrived as a result of their endorsed support. For more than a decade there have been sites devoted to letting creators share new clothes and items for Maxis’ life simulator. The same is true of the upcoming The Sims 4. EA are providing full documentation and support for mods. EA recently held a Creator’s Camp for Sims fans. Covering all aspects of The Sims 4, developers Darren Gyles and Lyndsay Pearsongave revealed that, among other things, The Sims 4 would ship with a “directory for Mods in the user data folder, a “dedicated Modding Section section on The Sims 4 Official Forums,” and a panel in the options menu to control mods. “Everything the community makes is astounding to us, super inspiring, and it is interesting to see what people come up with,” the developers said. 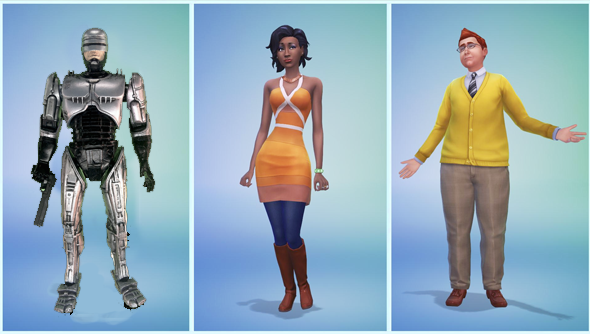 “Please continue doing it as we want to be able to encourage and foster that creativity because it’s so important to what The Sims means to everyone. I saw The Sims 4 in action last year at Gamescom and it looks like Maxis are going for something a little different than in previous games. It’s about creating your own soap opera of action instead of setting up a sandbox and watching the characters interact. Still it looked impressive. What’s more, it’s still clearly The Sims.